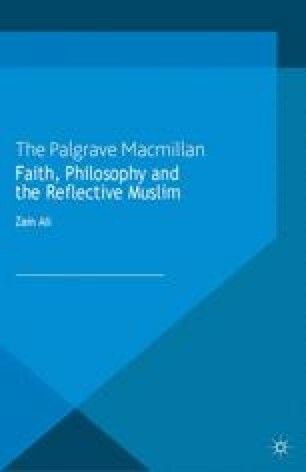 Al-Ghazālī’s case for scepticism aims to challenge the common-sense view of the world. He maintains that the deliverances of sense perception and human reason are not trustworthy. If we concede this form of scepticism, then we must also be prepared to suspend the enterprise of philosophy of religion. The philosophy of religion involves engaging with theistic belief through a process of critical reflection, thus assuming a degree of trust in sense perception and human reason as guides to truth. Consequently, if we do not trust our cognitive capacities to grasp truth, then there would be little motivation to critically reflect on our faith commitments. Once we concede that truth is beyond our grasp, it would be pointless either to seek truth or to guard against casual and arbitrary commitment through a process of critical reflection. In response to this view, I have argued that the Ghazālī’an strategy assumes that the possibility of being in a dream state is reason enough to withhold trust in our cognitive capacities. This approach can in turn be used against the sceptic; that is, we can be entitled to trust, since it is also possible that our cognitive capacities are in general trustworthy. We can also adopt an attitude of fallibilism, which is the view that we can, in general and for the most part, trust the deliverances of our cognitive capacities. Reason is God’s shadow; God is the sun. What power has the shadow before the sun.